Today, law enforcement requires actionable and real-time intelligence; 24 hours a day, seven days a week to help respond to cases efficiently. When evidence is lacking in a case, law enforcement officers are often times left to rely on eyewitness descriptions. In order to quickly disseminate facial composites to news outlets and social media, law enforcement needs to rely on every tool available; including traditional forensic artists and advanced facial composite software. Creating Digital Faces for Law Enforcement provides the proper foundation for obtaining key information needed to create effective facial composites. There are two main methods to create a facial composite, first through traditional forensic art techniques and second by using commercially developed facial composite software. Traditional forensic art has advanced from pen and paper to more enhanced digital tools. This text reviews the development of digital tools used by the forensic artist describing each tool in detail. 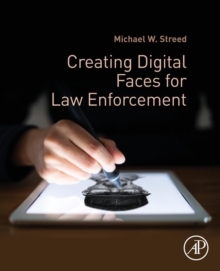 Creating Digital Faces for Law Enforcement is the first text of its kind to address the creation of digital sketches for forensic artists and software-driven sketches for non-artist/technicians.